It’s fairly common these days to see Flex applications running inside Salesforce.com. We use Apex and Visualforce for a large majority of our custom UIs but there are some instances that just work better with Flex (drag and drop, trees, tabbed interfaces, etc.). But what if you have a shiny, new Flex application running on your corporate website and your CEO decides he wants to display some data stored in Salesforce.com? Better yet, he wants a mashup using Salesforce.com, Google Maps, Flickr and YouTube? 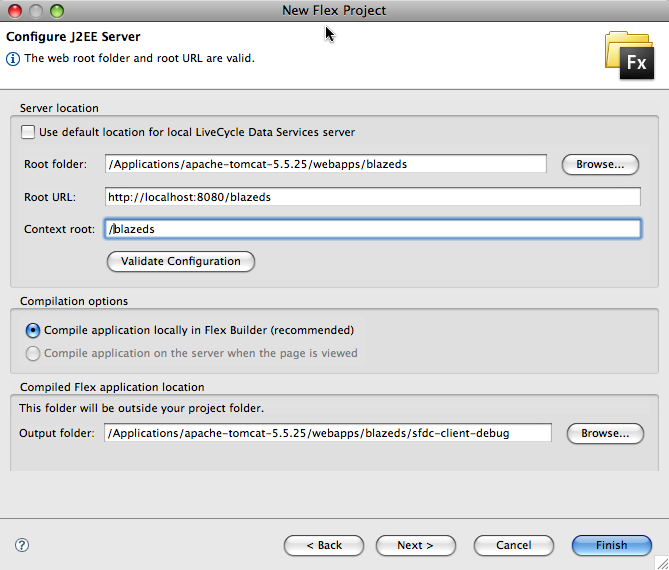 Expose your Apex class as a Web service and call it from your Flex application. This is a perfectly suitable solution if you only have to make a few calls to Salesforce.com. 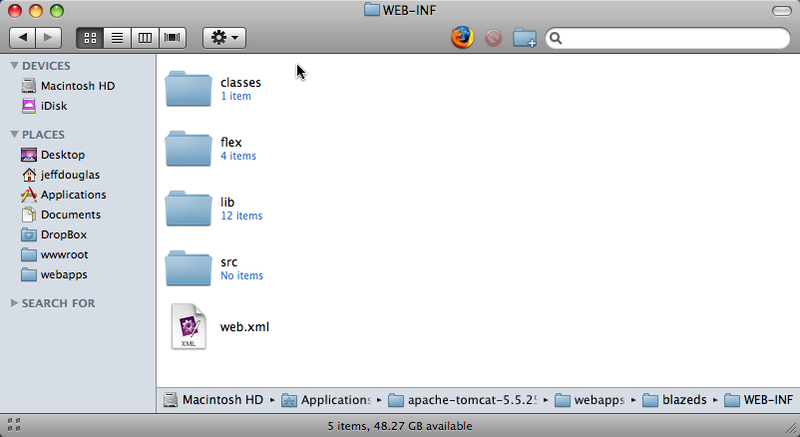 Web service integration with Flex is not the speediest for a number of reasons. Utilize the Force.com Toolkit for Adobe Air and Flex providing asynchronous access to the Force.com Web services API. Implement a solutions using Adobe’s Flash Remoting technology on a variety of platforms and technologies. 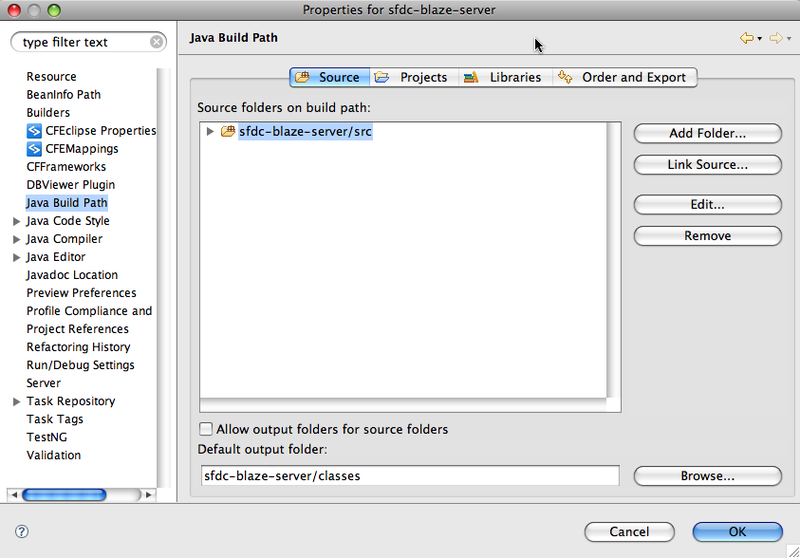 Develop a high performance data transfer service using Adobe’s BlazeDS open source Java remoting and messaging technology. 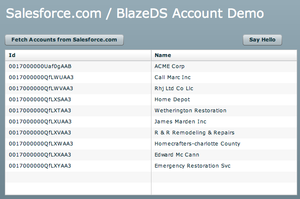 This tutorial will focus on the installation, configuration and development of a simple Flex application that fetches Accounts from Salesforce.com using the BlazeDS Remoting Service. The Remoting Service is a high performance data transfer service that allows your Flex application to directly invoke Java object methods on your application server (in this case Tomcat) and consume the return values natively. The objects returned from the server-side methods (primitive data types, objects, collections, etc) are automatically deserialized into either dynamic or typed ActionScript objects. You will also need a Free Developer Edition of Salesforce.com. There is a link in the upper left underneath the search box on developer.force.com. It is also assumed that you have some experience with Flex, Java and Eclipse. Some of this information comes from a great tutorial from Christopher Coenraets called, Getting started with BlazeDS. You can download the latest release build of the binary distribution or the turnkey distribution (contains tomcat 6 already) from the BlazeDS download page. You will need to a Java project to develop the server-side components of this tutorial. 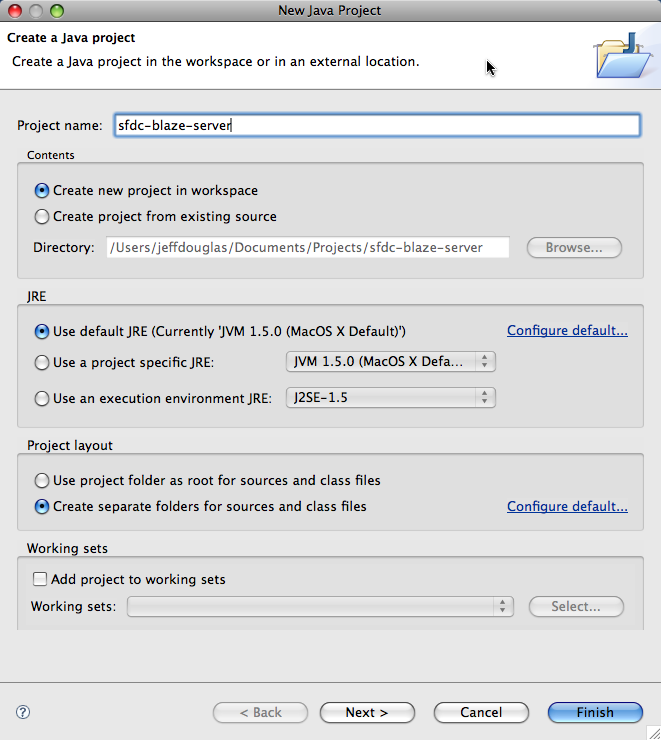 Create a new Java project in Eclipse (File -> New -> Java Project. On the next screen enter your Project name as "sfdc-blaze-server". Your screen should look like the following. After you confirm the settings, click Next. 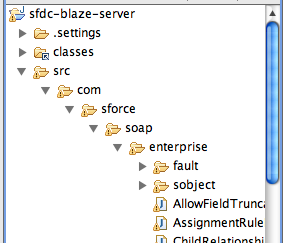 On the next screen make sure the Default output folder is "sfdc-blaze-server/bin" and click Finish. For your Java application to connect with SFDC we need to download the Salesforce.com WDSL. Log into your Developer org and go to Setup -> Develop -> API. 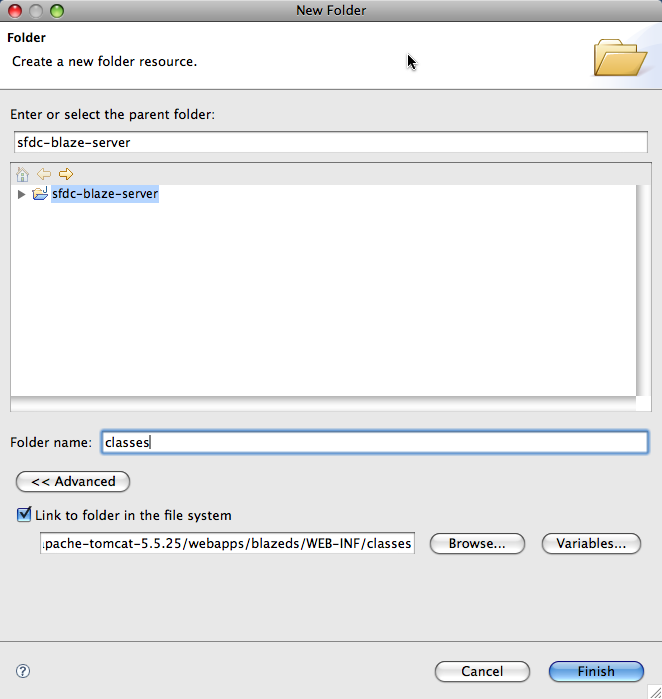 You can download either the Enterprise or Developer WSDL but for this tutorial we’ll use the Enterprise WDSL as it makes life a little easier. Save this file in your Eclipse project as "enterprise.wsdl". For the web services integration with Salesforce.com, you will need to add the following jar files to your sfdc-blazeds/WEB-INF/lib directory in Tomcat. These jars are all contained in the code for this tutorial. Company – a simple POJO that is transferred between the server and client. Click on File -> New -> Class, enter your package name (com.jeffdouglas.flex), class name (SfdcService) and click Finish. Add the following code for the class. Be sure to add your Salesforce.com Developer username and password (and security token if needed) into your code. 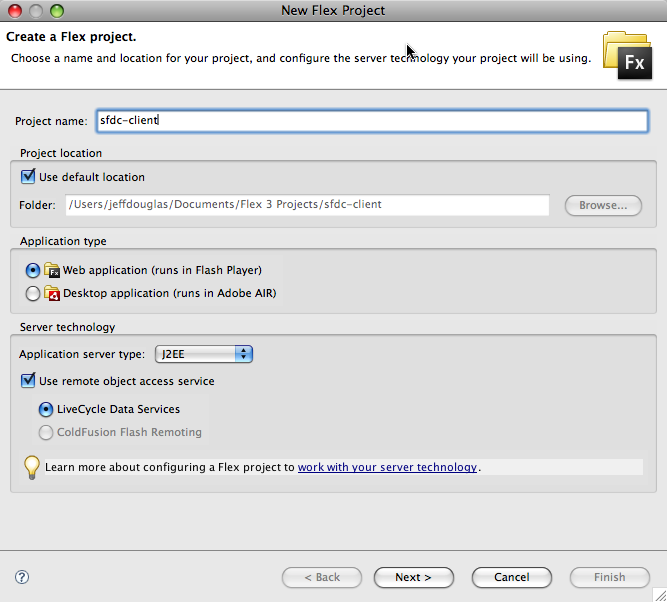 Create your Flex application by selecting File -> New -> Flex Project in the Eclipse menu. Enter “sfdc-client” as the project name and configure it based upon the images below. Click Next. Notice that the code uses the [RemoteClass(alias=" com.jeffdouglas.flex.Company")] annotation to map the ActionScript version of the Company class (Company.as) to the Java version (Company.java). As a result, Company objects returned by the getAccounts() method of the service layer are deserialized into instances of the ActionScript Company classes automatically for you. Now compile, run and test your application.